Wattpad is a kind of service for cellphone, that lets you reading and sharing stories on your mobile phone. These stories all from its community members. You can upload whatever you want to share, a story, a joke, and then read it on your cellphone or send it to your friends. 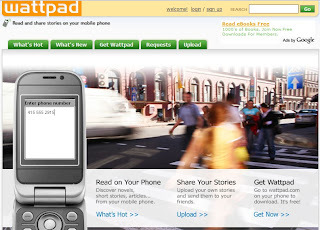 Wattpad works with Java-compatible phones.